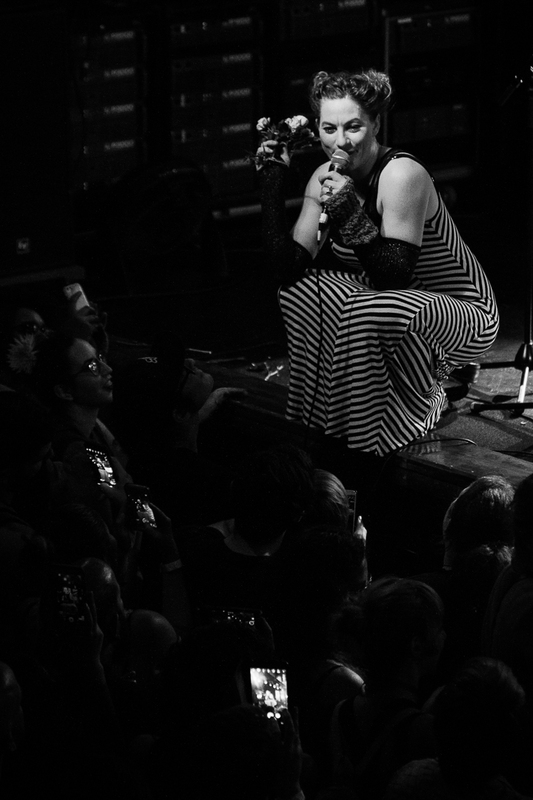 Amanda Palmer performed to a virtually sold-out crowd at Culture Room in Fort Lauderdale last Sunday. Not a solo performance; more like a reunion of good, old friends. "A Night with Amanda Palmer, Jason Webley, and Jherek Bischoff." And a local string quartet. All on the same stage. A piano-less Amanda, by her own admission, condensed the usual 88 keys in the fours strings of her ukulele. After a warm welcome with In My Mind, the rest of the night was a full collaboration along with Jherek's compositions and string arrangements, and Webley's high-energy fusion with his guitar and accordion. It's an understatement to say that people usually expect the unexpected every time Amanda hits the stage, and last night was not an exception. But every performance is (should be) a two-way street. Nothing can be unpredictable without the support of her loyal fans and followers. Only in a night like last night, for example, a viola player can break one of her strings and a new one can magically appear. In seconds. From the crowd. She's definitely elevated the art of asking to a whole new level. Amanda planned the show in Fort Lauderdale just because it was right in the middle of the way between west Florida, where she was, and Key West, where she's performing on December 13. But incidentally, Culture Room in Fort Lauderdale is the same venue where in 2009 she penned a song for her record label, asking to [please] drop her from her contract. It can be said that the rest is history. This special night last Sunday was, again, in the room where it happened.